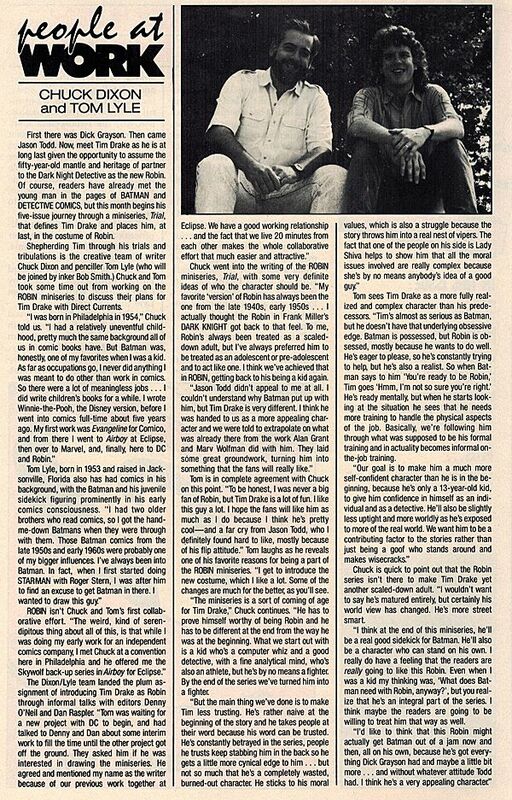 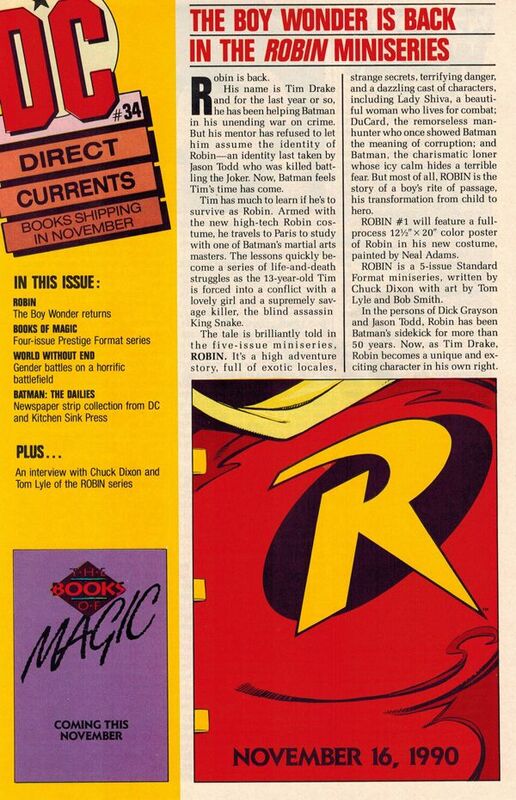 For the first new post in the "Robin Relics" feature, I figured we'd go back and take a look at a couple of issues from DC's now defunct "Direct Currents" preview magazine. 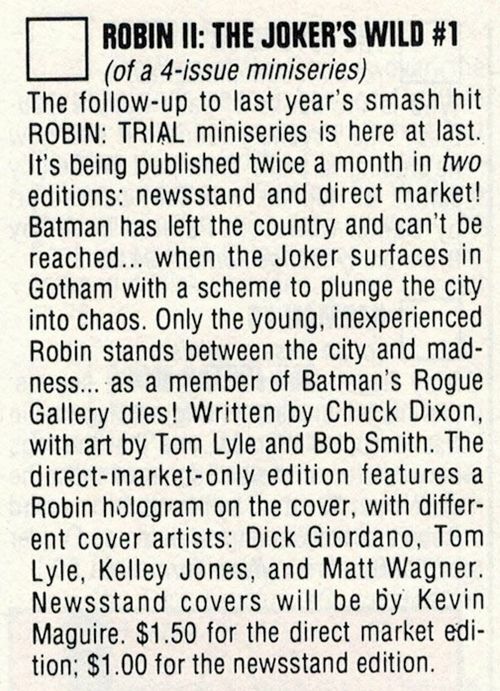 First up- The November 1990 issue! 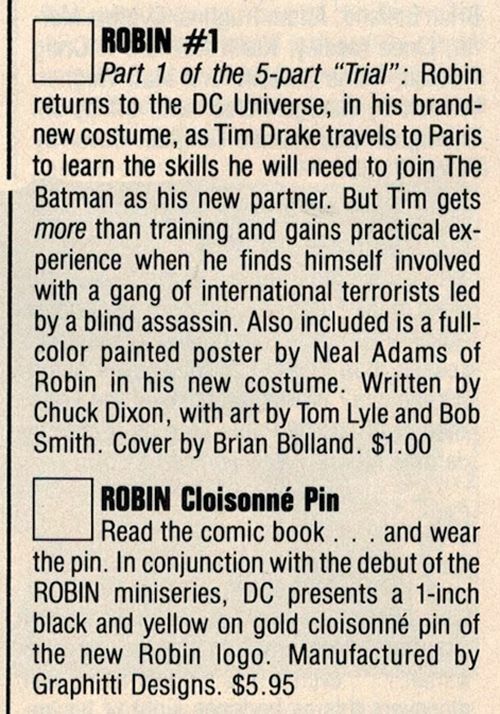 The magazine features a cover story on the first Robin mini-series, solicitation blurbs for the initial issue & a cloisonné pin, AND a stellar interview with writer Chuck Dixon & artist Tom Lyle! 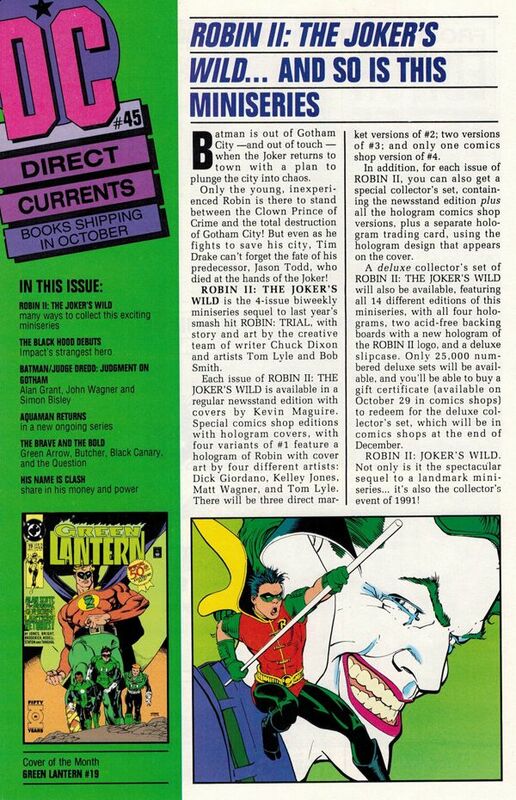 Next, we jump forward a year and check out the October 1991 issue. 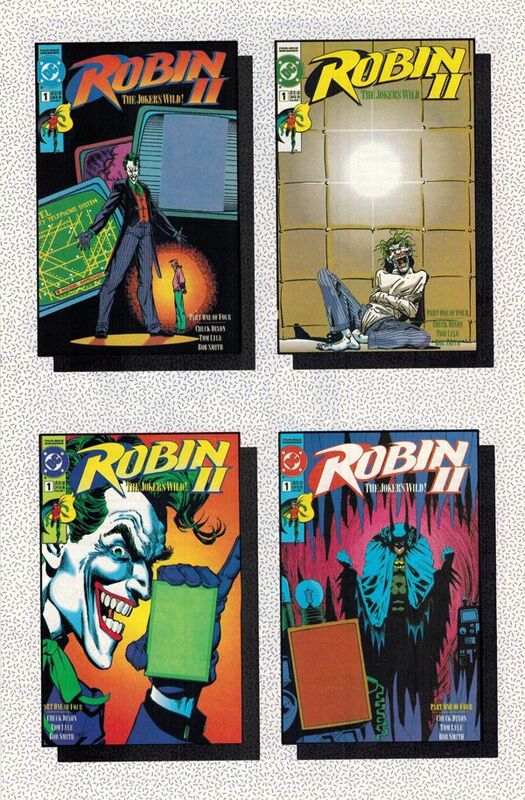 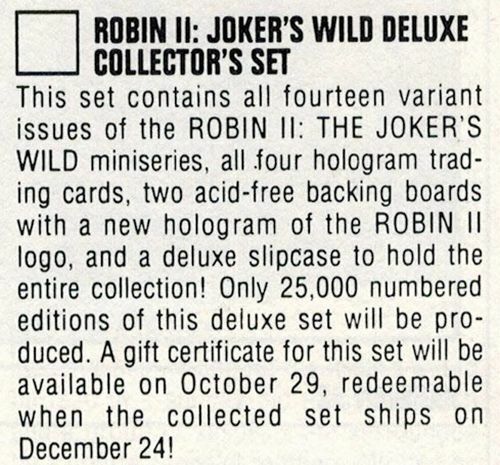 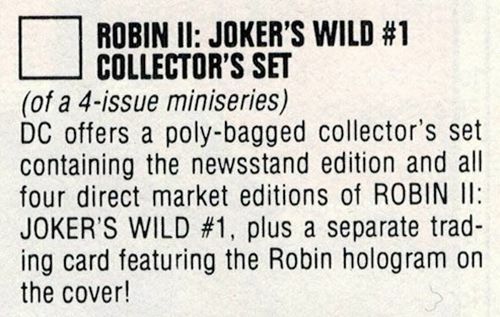 This installment features a cover story on the "Robin II" mini-series, solicitation blurbs for the many different ways you could collect the series, and a back cover panel showcasing the issue #1 variants (sans holograms).